Here is the next installment in our the Reader’s Questions Series which highlight questions emailed to me by you, the readers of Money Q&A. Be sure to find out at the end of this article how you can receive a free copy of Dave Ramsey’s book, The Total Money Makeover if your money question is chosen to be featured on a future week’s blog post. If you’re not familiar with Dave Ramsey’s book, you should run right out and get it. It is one of my top ten best personal finance books that everyone should read. Be sure to check out the other answers to money questions in this series. This is a great question, and it is one that is near and dear to my heart. I saw this question play out every day of my life growing up. One of my earliest money related memories growing up was of my single mother writing checks each month for our bills. She would sit down with an old ledger book and write checks out for that month’s bills. I can remember sneaking a peak at her checking account balance and seeing a thousand dollars or so. To a little kid in the 1990s, that seemed like an enormous sum of money. My mother then explained that that was the beginning balance and then proceeded to tell me where all that money went every month to pay bills such as the mortgage, electric bill, water bill, etc. I can remember asking my mother one time where the account entry was written for her investments. She chuckled and said that there wasn’t one. She told me that we barely had enough money to make ends meet and that there simply wasn’t enough to invest for retirement and other financial goals. While I can understand how hard it is to start saving if you live paycheck to paycheck, this is still flawed logic. It is not a case that you cannot afford to invest for your retirement because you live paycheck to paycheck. I would argue that you cannot afford NOT to invest or save even if you live paycheck to paycheck. While it may not be a popular sentiment, you have to find more money each and every month and get out of the paycheck to paycheck rut. You have to start finding ways to earn more than you spend every month. You have to start building an emergency fund, or you will never get out of that paycheck to paycheck rut. So, here are a couple of ways to start saving and investing if you live paycheck to paycheck. Working more hours or taking a second job is definitely not a very popular thing to recommend, but it is a way to get out of living that paycheck to paycheck blues. Most people forget that there are two sides of the financial equation. Almost everyone is familiar with cutting costs to squeeze more money out of their monthly budget. If you cut out unnecessary things such as cable television, you may be able to start saving money if you live paycheck to paycheck. You can get out of those blues, but cutting costs is just one side of the equation. You can raise your income as well. Increasing the amount of money that you bring in every week will help you stop living paycheck to paycheck even if you do not cut a single cost. One of my favorite things to do is to save my pocket change. While I may be in my 30s, I still own a piggy bank. Everyday, I try and only pay for things with dollar bills, and I keep all of the change I receive back from the stores. At the end of the night, I put all of that pocket change in a piggy bank or a change jar. You may be really surprised how much it will add up to at the end of a few months. 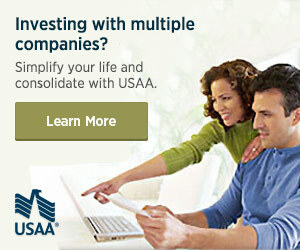 This is an easy way to save hundreds of dollars without even realizing that you are saving. That’s the best kind of savings when you trick yourself into it. It is not impossible to stop living paycheck to paycheck. You can do it and start investing and saving for your financial goals. A lot of the ways to break the cycle are simply mental. While it will definitely be hard work to saving and invest instead of live paycheck to paycheck, you are able to do it if you set your mind to it. You may have to trick your mind, but you can stop living paycheck to paycheck and save and invest for your future. Is It Better To Save For Closing Costs Or Pay Down Loan? Do you have a money question that you would like to ask? Email me your money, investing, retirement, savings, or other question to Questions[at]MoneyQandA.com. If I pick your question for the next article in the series, I’ll send you a free copy of Dave Ramsey’s book, The Total Money Makeover, or you can pick from any of these other free books instead. I wasn’t sure if it would be kosher to shamelessly link in a comment. However, I had a guest post at penny hoarder that gave 4 ways to make interest income, no extra savings needed. It wouldn’t be kosher from too many people, but you are an exception to the rule. It was a great post and definitely one people should check out…. I did the second job and I have jar by the front door, when I walk in change from the purse/pockets/tray in the car gets plunked in. It can be difficult to find a second job, it took me awhile but I found one at the local community college part time weekends working as an exam proctor. I suggest that people look at their different skill sets, can you type? file? fix computers? answer phones? Look at places like colleges, hospitals, retail stores (Home Depot, Lowe’s, ToysRUs, etc. ), they have a need for evening, early morning, or overnight employees. Get creative, you don’t have to flip burgers! But if you do, so what $1 buck earned is a buck more out of debt.